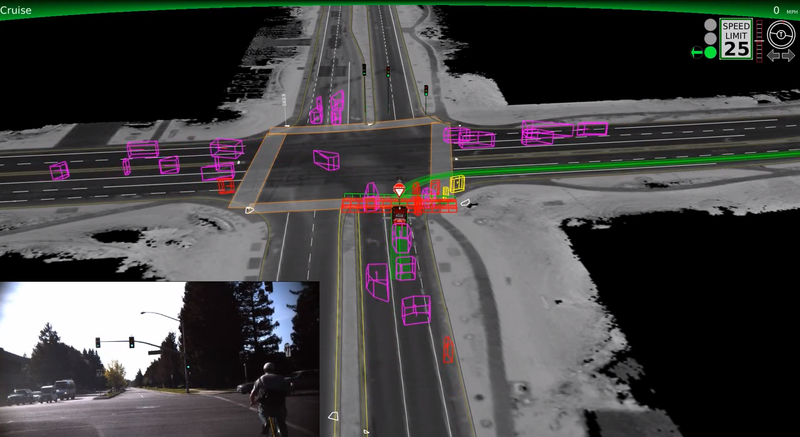 Here’s a great look at how far Google has come with their self-driving car technology. I had a hard time thinking the car could do much more than follow lanes and look out for stop lights, but to see how it analyzes and identifies every object around it is pretty amazing. If they can make this technology completely flawless, there’s no question that our roads would ultimately be much safer. It’s just a matter of whether Google can develop something that is completely immune to technical glitches, which I imagine is the biggest problem they’ll face.